Sadly, I really did not love We Were Liars. My love for The Disreputable History of Frankie Landau-Banks knows no bounds, so I was really looking forward to a new E. Lockhart novel, but this one just wasn’t a great read for me. I guess I’m most surprised by Love Letters to the Dead, by Ava Dellaira. I’m surprised it’s ended up on so many favorite lists, when I found it to be fairly derivative and uninspired. 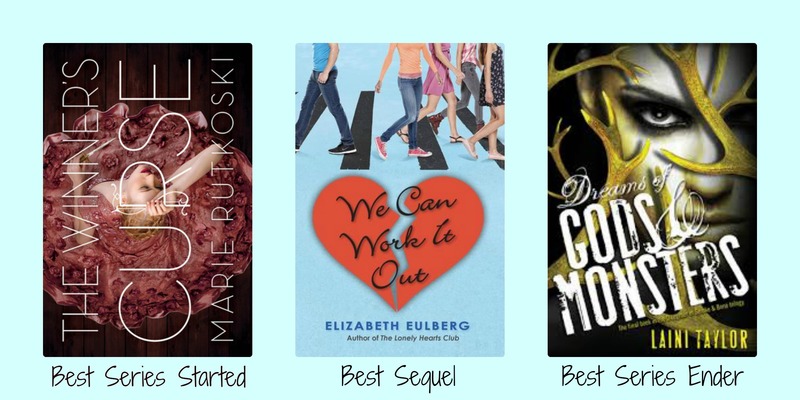 Best Series Started: I LOVED The Winner’s Curse by Marie Rutkowski, and am excited to read the sequel very soon! 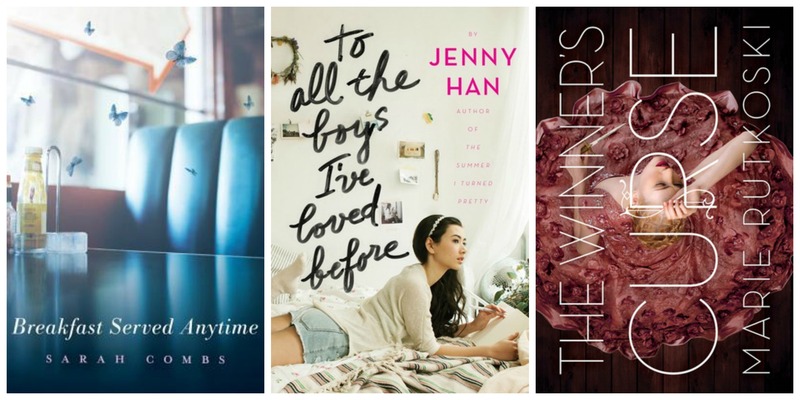 Best Sequel: I am a total Elizabeth Eulberg fangirl, and it was so amazing to have a sequel to The Lonely Hearts Club. We Can Work It Out was great. Best Series Ender: While I don’t think it was my favorite of the series, Dreams of Gods & Monsters was an interesting series end. I will certainly miss Laini Taylor’s gorgeous writing and a lot of the characters in this series. I think I have to go with Kasie West. I read 3 of her books this year, and they were all read-in-one-sitting books for me. Etiquette & Espionage and the others in the Finishing School series by Gail Carriger. I never thought steampunk would be for me, but once I got into them I really loved them. For me, this is a tie between Free to Fall by Lauren Miller and Love is the Drug by Alaya Dawn Johnson. In both of these books, I kept turning the pages because I had to know what happened next. The Harry Potter series. Although I like to reread, there are so many new books to read that I often don’t do that much of it, but I generally reread Harry Potter every year. Sophronia (and her friends) from the Finishing School series. Me Before You by JoJo Moyes. After reading this, I thought (and continue to think) a lot about the ending of the book, what I would choose if I were in that situation, quality of life, etc. It’s definitely stuck with me. 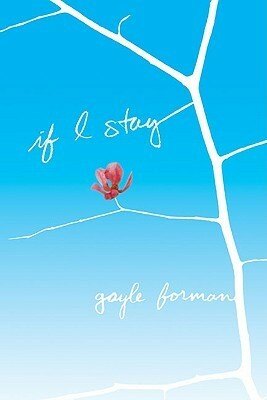 If I Stay never appealed to me; I didn’t love the premise and thought it would just be really hard to read. but after Just One Day and Just One Year, I wanted more Gayle Forman in my life, and I had picked it up at a library book sale, so I decided to just dive in. And, as usual, Gayle didn’t disappoint-I ended up loving it. I don’t really keep track of quotes I like, so sadly, I don’t have anything for this one. All Fall Down by Ally Carter. While I didn’t love the book, I also didn’t expect the ending to happen the way it did. Harry, Ron, and Hermione. Always (yes, I know part of that becomes romantic. but whatever, they were friends first). I don’t get a lot of peer pressure to read books (I’m usually the one doing the pressuring), but I do read a lot based on book blogs I read, so I guess the best thing I read based on good reviews was the Legend trilogy by Marie Lu. Ziri from Dreams of Gods and Monsters by Laini Taylor (I guess technically he became a crush when I read Days of Blood and Starlight, but I didn’t do this survey last year, so I’m claiming him for this year). Me Before You by JoJo Moyes. All the tears. I haven’t heard a ton of people talking about Breakfast Served Anytime by Sarah Combs, but I really, really loved this book. Well, there you have it, my year in books. I am hoping 2015 will be an even better year of reading (in which I finally reach my Goodreads goal), and maybe even one with more blogging, as well. Happy new year and happy reading to you all.